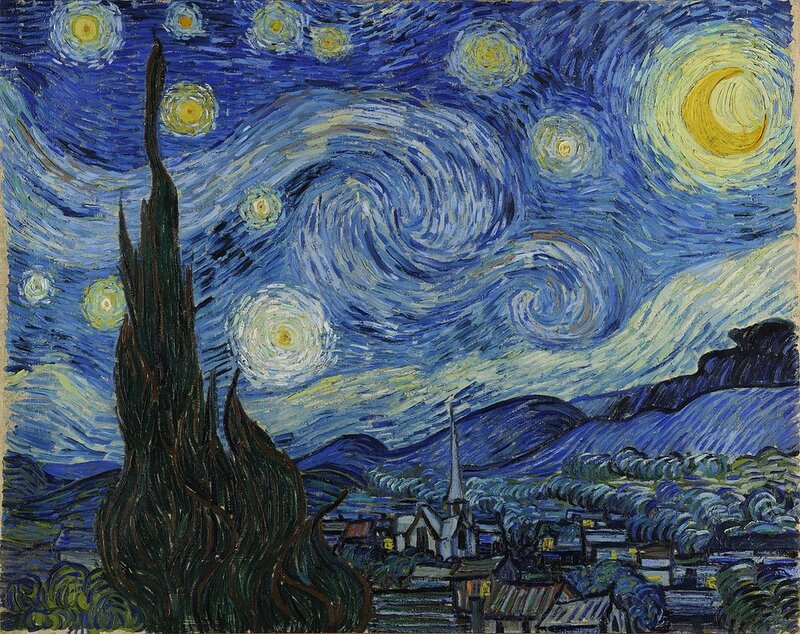 According to History Lists, Vincent Van Gogh’s “Starry Night” is one of the top 20 most famous artworks in the world. Vincent Van Gogh Gallery states that Starry Night stands out for two main reasons…It was painted while he was living in Saint-Remy asylum, which Vincent admitted himself to after cutting part of his left ear off. The other reason being because the work was done by pure memory from inside instead of his usual preference of being outdoors. SHERRI’s imagination truly has no limit… Which is one of many reasons SHERRI is our signature Aspen artist. She is known for her incredible playfulness and bending of rules… leaving what color Aspen leaves should be up to your imagination. Displayed below is the real Aspen Chapel, SHERRI’s depiction and Van Gogh’s church. Here are some of the key elements of the piece that beautifully molds Aspen with one of the most recognizable paintings on Earth. See her full available collection.